This week marks the celebration of Thanksgiving. 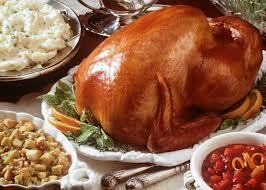 Turkey, dressing, and desserts will be devoured on Thursday. Families will gather to eat and give thanks. But why? For Americans, we give thanks for many reasons, not least of which is our freedom to live in a land that is free (for now) to worship without the dictates of government. Giving thanks is not a new idea; it’s actually rooted in a Judeo-Christian worldview. Both the Old and New Testament calls us to give thanks to the Lord. For example, the people of Israel were to give thanks to the Lord when King David brought the ark of God to the city of Jerusalem. The ark symbolized the presence of God among His people. The day that the ark arrived in Jerusalem was a day of great celebration. The writer of 1 Chronicles 16 records for us the song of thanksgiving that was offered to God on that momentous day. “Oh give thanks to the Lord, call upon His name; Make known His deeds among the peoples. Sing to Him, sing praises to Him; Speak of all His wonders. Glory in His holy name; Le the heart of those who seek the Lord be glad. Seek the Lord and His strength; Seek His face continually. Remember His wonderful deeds which He has done, His marvels and the judgments from His mouth” (vv 8-12). Giving thanks was a normal response of the people of God in the Old Testament to who God is and what He has done for them. The people of Israel were to give thanks for what God had done for them, so that the peoples (other nations) would know this one true God. Thanksgiving to God, therefore, is not only to be vertical but also horizontal. In other words, our thanks is to be directed to God as a testimony to others of who He is and what He does. While we give our thanks to God for what He has done for us, we do so in order that the nations might know what He has done on their behalf. So give thanks to the Lord this season of Thanksgiving, but do so in order that you might “make known His deeds among the peoples.” As you give thanks to God for all He has done for you, remember to make Him known to those who yet do not know Him. We all have family, friends, and neighbors who need to hear of the wonderful deeds of the Lord. So give thanks, and in so doing make Him known.